Fall is upon us and I am feelin’ it! 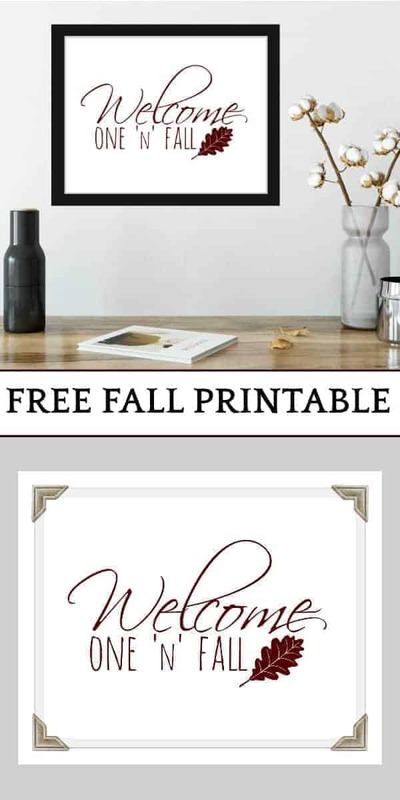 If you are looking for a unique fall printable to beautify your home for the fall, you will love this free fall printable! 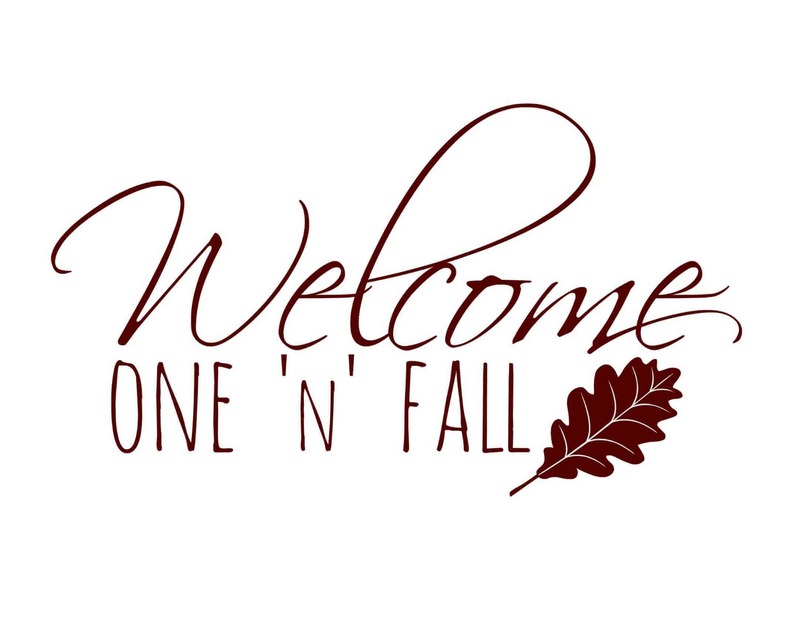 Never before seen, this “Welcome One ‘N’ Fall” printable is sure to be a sensation! Autumn is upon us and you know what that means! Brisk winds, falling leaves, and pumpkin spice lattes, oh my! Fall is the absolute best season. Not too hot, not too cold, you get all the coolest holidays like Halloween and Thanksgiving! Also, fall decor is the absolute cutest! The fall season is chock full of adorable and catchy sayings — just check out my affordable fall pillow post if you don’t believe me! I’m pretty sure I came up with a fall quote that has never before been seen anywhere else. Feel free to correct me if I am wrong though! It just popped into my head one day and I HAD to create a fall printable using this slogan. This printable is FREE for you! 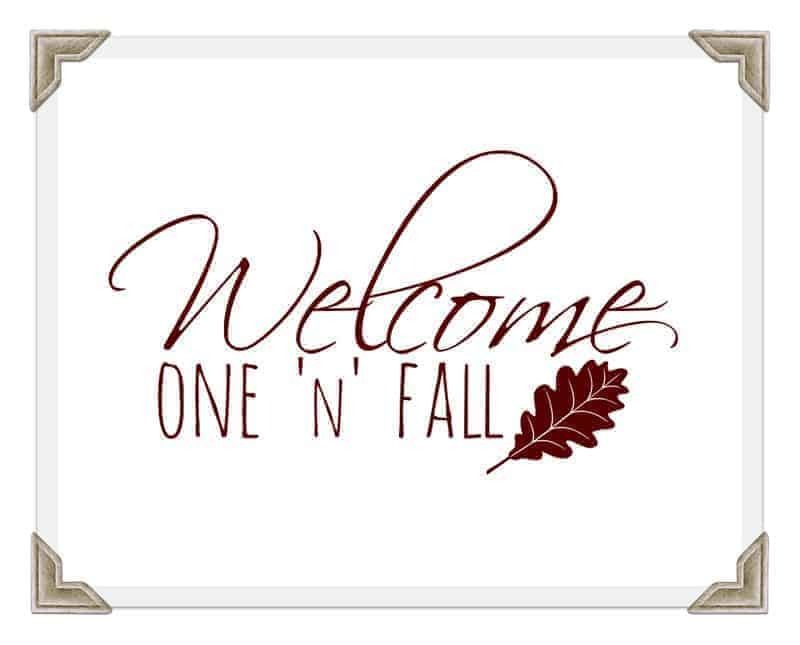 Just click the image below and your “Welcome One ‘N’ Fall” printable will open up in another window. You can then print it off as you please. This printable is designed to fit in an 8 x 10-inch frame. If you don’t like the color that I used, you can always choose to print it off in black and white. If you decided to decorate with my fall printable, I would love, love, LOVE for you to show me! Just tag me on Instagram @squirrelsofafeather or use my hashtag, #squirrelsofafeather, so I can see it! It would be AMAZING if it were original! very pleasant painting, i love the design. awesome art. Very cute! Love your fall printable! I love how this came out Marissa! Thank you for all your help and feedback, Sonya! Beautiful AND original, Marissa! Love it! I like how you have it set up in your home! It’s perfect! I will surely use this decor style!!! Why thank you, I hope you enjoy it! In place of the leaf, I added a burgundy feather to mine. It looks great and I love the black border design….Very Classic Look! I found this blog looking for a new feather craft idea and your website name caught my attention. We also have a website with feather in the name…(0: Thanks for the inspiration!